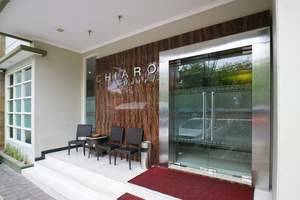 Chiaro Hotel is 17 km from Surabaya. The nearest airport is Juanda International Airport, 11 km from the hotel. The hotel has a policy not to accept reservations made by non-married couples in one room. The hotel has the right to cancel / reject the reservation if the guest cannot / refuses to show the requested identity card.